Kiki Cuyler broke into the big leagues in 1921. Over the next decade and a half, Cuyler established a reputation as an outstanding hitter with great speed. He regularly batted .350 or higher and finished with a .321 lifetime batting average. 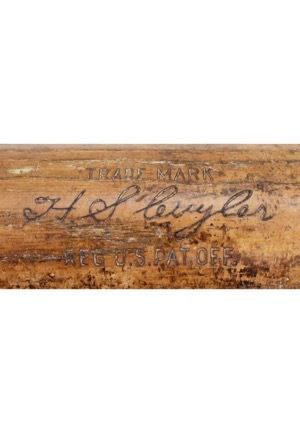 In 1925 Cuyler combined this great hitting with 18 home runs and 102 RBI. Cuyler led the league in stolen bases four times and finished his career with 328 steals. He was inducted into the Baseball Hall of Fame in 1968. 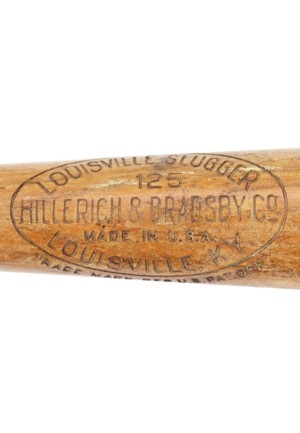 Manufacturer: Hillerich & Bradsby Model Number: C115 Labeling Period: 1928-30 Length: 36 inches Weight: 35.4 ounces Wood: Ash Finish: Standard. 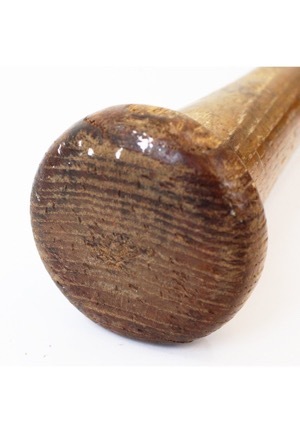 The bat shows evidence of outstanding use with a handle crack and small chip on the knob. Numerous ball marks are visible on all sides of the barrel. Also visible on the bat are blue bat rack streaks. 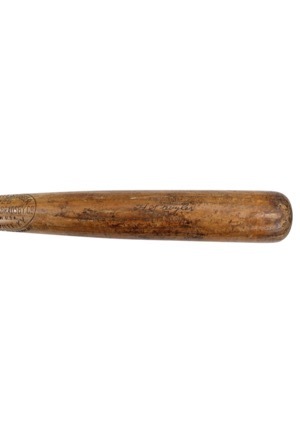 PSA/DNA has graded the bat a GU 8. Accompanied by a LOA from PSA/DNA.